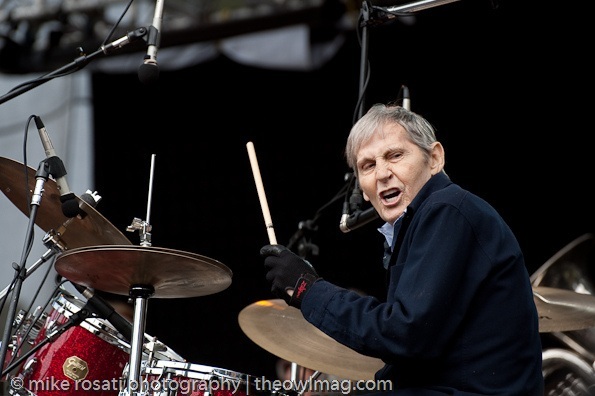 Levon Helm, drummer and singer for The Band, died yesterday, April 19th, after enduring a hard fought battle with throat cancer, which he was diagnosed with in the late 1990’s. The big C never seemed to bring Levon Helm down, and it didn’t take him away from his love of playing music with his friends; in fact, it seemed like Levon Helm and his band were on an infinite tour. His style of playing the drums will never be matched, and he had a way of always bringing the audience into his songs with a smile that filled any venue. For well over forty years, Levon Helm was involved in the music industry and shared his incredible musical talent with all of us. RIP Levon Helm.